Mark's Dirty Bomb Cheers and CUIDADO!! ACHTUNG!! 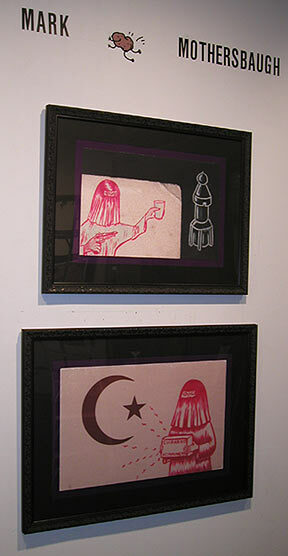 works, as displayed at KM art gallery - June 21st, '03.